Hi guys! 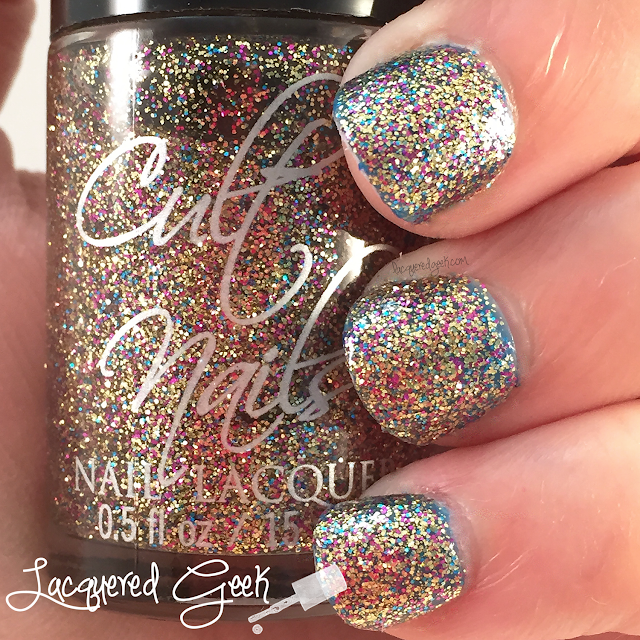 Earlier this year, one of my favorite brands, Cult Nails, announced that they were closing. I was saddened by this news because Cult Nails polishes were some of the first that I discovered, and I was never disappointed with the quality of them. About a month or so before the liquidation announcement came, Cult Nails released a LE Secret Collection. Of course I picked it up! The collection ended up being a shimmery blue, a waxy green, and the gorgeous glitter that I am going to share with you today! 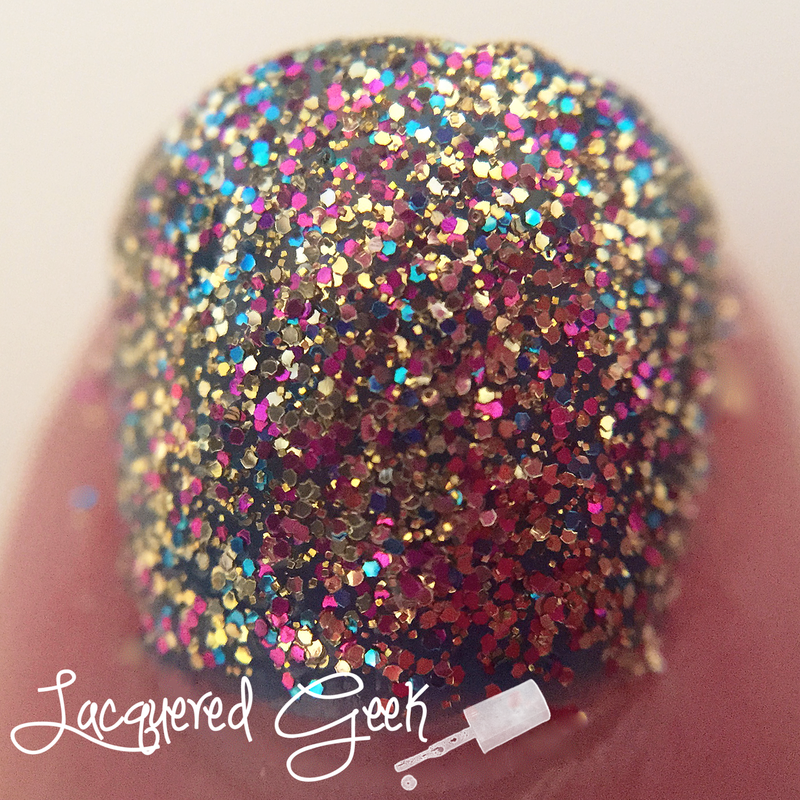 Lime Light starts with a clear base and is packed full of gold, fuchsia, and blue glitters. I was not sure if I could get full coverage so I used three coats over blue undies. 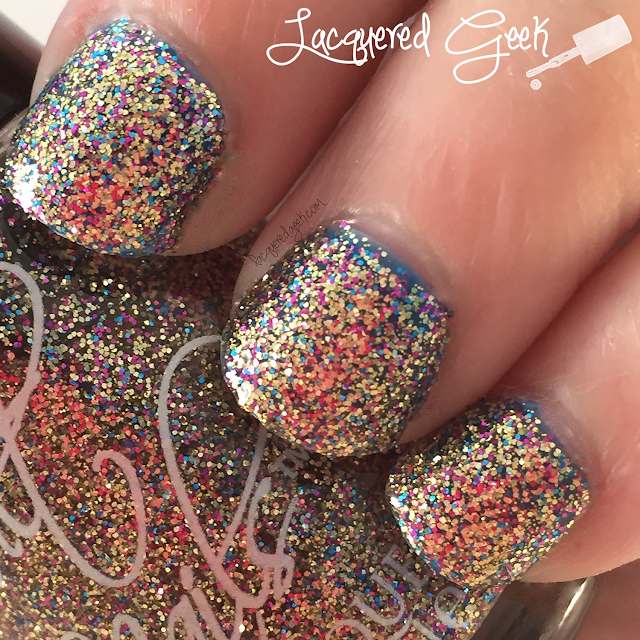 I was overly conservative when I was applying the polish around the edges of my nails - I hate getting glitters stuck around my cuticles, and I couldn't find my liquid latex when I swatched this polish. With the exception of those edges, I think I got pretty good coverage with just the 3 coats, and the next time I wear this, I will wear it on its own. I would definitely recommend a peel off base coat to make removal a bit easier! As with all my other Cult Nails polishes, this one did not disappoint. It's so glittery and blingy. It was like there was a party happening on my nails! 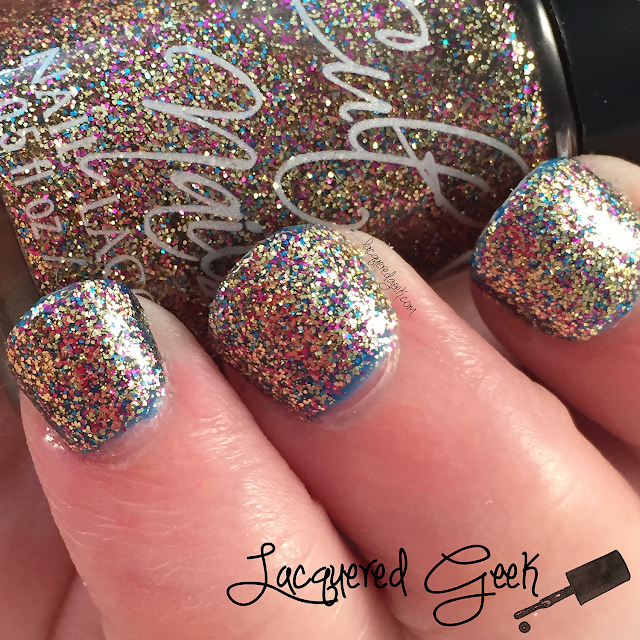 Were you able to try any Cult Nails polishes before they closed up shop? Do you have any favorites? This is cute! It'd be great for NYE. 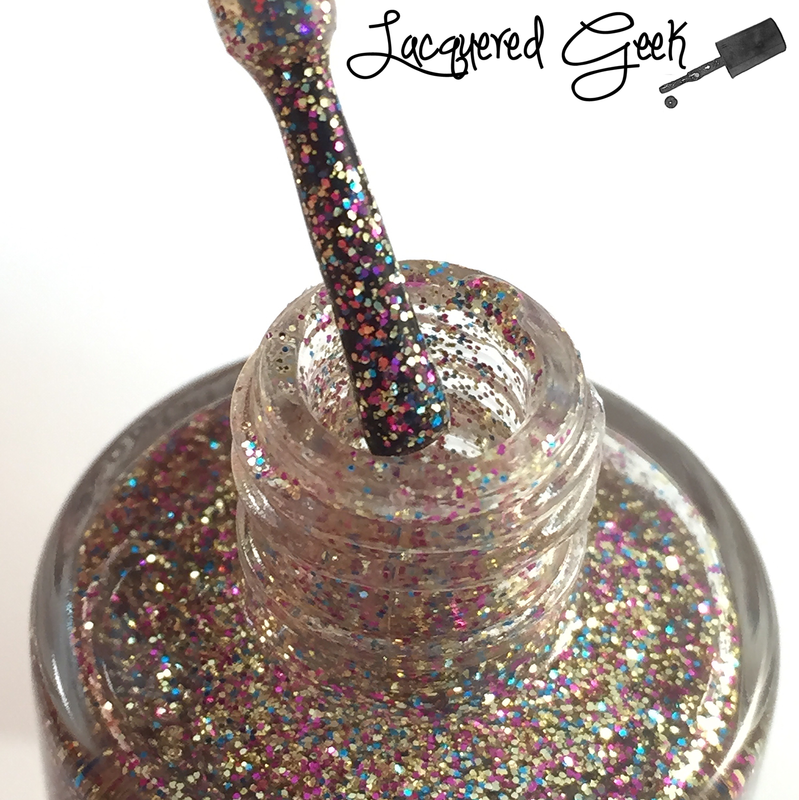 Glitter bomb in a bottle, wow! I have quite a few Cult Nails polishes. Sad to see them go!